I decided to make a dedicated tutorial for the Widened Cute Card and Coin purse. It’s the perfect addition to a clutch for a night out to keep your essentials all together. It’s so cute and a quick sew. This pattern is perfect for an advanced beginner. Please be aware this is for personal use. If you love it and want to sell them that’s great! I ask that you purchase a licence (one off fee) to assist me in creating more free and paid tutorials! If you do this be sure to let me know your business details so i can share your creations on social media! First you will need the pattern pieces which you can get for free HERE or on Craftsy. With the widened version i have chosen to do the card pockets on one side. To do this cut 3 pieces of the lining piece 2 in lining fabric and 1 in exterior fabric. Cut out the pattern pieces and transfer markings to the front of the card fabric piece. Fuse interfacing on the wrong the of the card piece/s and exterior piece. Fold the card piece accordion style as indicated on the pattern, from the bottom wrong sides together on the fold line (Marked lines), then right sides together (tricky bit) and wrong sides then right sides together. Press well, Top stitch the card slots and Baste Stitch down 1/4″ from the side edges. Stitch a line down the center of the card slots. If you are wanting card slots on both sides make another one in the same way. Pin, glue or use clips while sewing. Open out and top stitch. Attach the exterior and lining to the other side of the zip the same way being careful to ensure that the fabric lines up with the other side as best you can. Now move the zipper pull to the centre. VERY IMPORTANT! Now match up and pin the two front pieces together and the two lining pieces together. Ensure that the zipper teeth point towards the lining. Sew all the way around with a 1/2″ seam allowance leaving a 3″ hole at the bottom of the lining for turning. Trim the side seams down to 1/4″ and clip the corners and excess zip tape. Carefully turn the pouch right side out through the hole you left. Close the hole with a top stitch or you could hand stitch it. Push the lining inside the purse and ENJOY! Smaller versions of this purse are available. Check out my other tutorials before your go. Thanks so much Camille! Great idea! 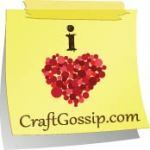 I am the newsletter editor for our American Sewing Guild (ASG) Memphis, TN Chapter. I would like to know if I can include the Pattern download in our newsletter. If anyone wanted to make it they would have to come to this page for the tutorials. I have emailed you, that would be fantastic.